Over time, inevitably your rug or carpet is going to suffer wear and tear. Rips, fading and discoloration, pet stains and water damage are just a few of the ways they can be harmed. But don't despair – here at Tri-State Carpets our highly-trained staff has all the experience necessary to repair it quickly and effectively. 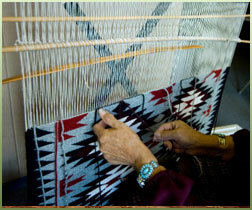 We are specialists in stain removals, patching up, re-weaving tears and holes and re-weaving fringe tassels. Our techniques prevent damage from occurring and will also extend your rug or carpet’s lifespan. Our top priority is quality customer care. We're sure you’ll be happy with the job we do but, if you're not, then we offer a 100% guarantee on all of our work.